Hyperpigmentation affects many people of all ages. Although it’s harmless to health, few people with it would turn down the chance to make it disappear. 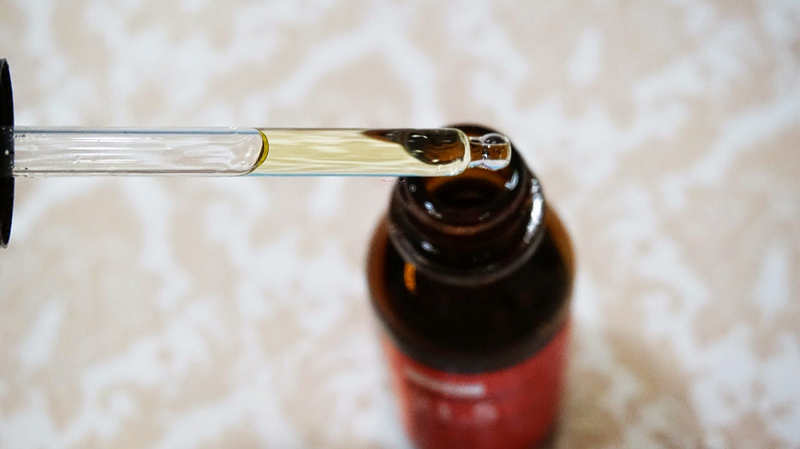 If you’re one of those who doesn’t feel comfortable with freckles, age spots, acne scars, and melasma, read this guide to the best Vitamin C serums to fade hyperpigmentation. Vitamin C gently exfoliates dead, dry skin, calms inflammation, and speeds up healing. The removal of old skin and the growth of new skin fades discolorations. Vitamin C also stimulates skin to make collagen so your face looks firmer with fewer wrinkles and defends against UV rays by thickening the epidermis, the top layer of skin. If you’re serious about getting dark spots to fade and disappear, you can consult with a dermatologist about pigmented lesion lasers, of which there are at least three kinds: green light, red light, and near-infrared. Red light therapy can work wonders healing skin from injury because it has anti-aging properties. Laser treatments can be quite expensive, and they sometimes cause damage to skin. They may not always produce the desired results, although the technology is always improving. Besides laser treatments, a dermatologist may prescribe a cream or other topical medication. Sometimes these are harsh and irritating to skin. And since they are prescription strength, they may be more expensive, especially if your insurance doesn’t like to pay for dermatological treatments. There are two other options besides lasers and prescription meds: over-the-counter and home remedies. You may have heard about someone rubbing lemon juice (packed with Vitamin C! ), aloe vera, or cucumber slices on their dark spots. Those are actually valid treatments. But they may take a long time to make a difference since they aren’t concentrated in any way. Over-the-counter treatments like serums with Vitamin C, Kojic acid, Hydroquinone, Azelaic acid, and Mandelic acid are concentrated to work faster than home remedies. Hydroquinone is the only skin lightening treatment officially approved by the FDA, but Kojic acid has a similar effect. Labels of skin-lightening Vitamin C serums may list other ingredients like Vitamin A, Alpha Hydroxy Acids, Vitamin E, and niacinamide. What do all these things do? Hydroquinone whitens, or bleaches, skin cells and prevents melanin, or skin pigment, from forming. A serum with a 2% solution of hydroquinone may take 2 to 3 months to fade a dark spot. Vitamin A in the form of retinol and tretinoin helps reverse skin discoloration and wrinkles, but it can make your skin sensitive to burning in sunlight if you use it in the daytime. Antioxidants like Vitamin C, E, and niacinamide help even out skin color and reverse the damage that the sun does to your skin. When you begin treatment to fade hyperpigmentation, always wear sunscreen. Follow the directions—if the sunscreen says to re-apply after a certain amount of time or exposure to water, do it. Otherwise, the sun will darken your skin all over again. One last thing—although Vitamin C serums are very nourishing to skin, do plan on moisturizing. Don’t skip out on your usual face care regimen of washing, exfoliating, toning, and hydrating. If your skin is in good condition, the treatment will work faster. Let’s begin with a natural product that reverses signs of aging while it makes dark spots fade away. Lumene’s Bright Now Vitamin C Dry Skin Cocktail uses the power of Arctic Cloudberry to protect and enrich skin. This amazing fruit has more Vitamin C than an orange does. Its seed oil helps erase fine lines and age spots, as well as soften skin. Lumene’s formula has no parabens, synthetic dyes, formaldehyde, or mineral oil to irritate sensitive skin. Murad is a brand often recommended by dermatologists. This Advanced Active Radiance Serum contains a variety of ingredients that brighten skin tone, like glycolic acid, Vitamin C, and Vitamin E, plus herbal extracts like tea seed oil (rich in antioxidants), and myrtle, a natural source of salicylic acid. Like the Lumene serum, this formula doesn’t contain many of the common skin irritants found in many skin care products. If you like natural and organic products, TruSkin Naturals Vitamin C Serum is designed to take care of the most sensitive skin. It can help lighten age spots and acne scars, plus prevent new acne outbreaks and shrink pores. The serum is cruelty-free, and composed of 98% natural, and 72% organic ingredients. There are no petroleum derivatives, no sulfates, no parabens, no phthalates, no GMOs, plus it’s pH balanced to protect skin. Advanced Clinicals Brightening Cream is made with Vitamin C, ferulic acid, aloe vera, coconut oil, tea leaf extract, glycerin, and Vitamin E. Not only does it fade freckles and sun-damaged spots, it hydrates skin to make it look younger and feel softer. You can apply it on your body as well as your face. Just be aware that it contains mineral oil as well as a fragrance, and those are not the best ingredients for persons with sensitive or oily skin to use on their faces. The formula has no parabens and is cruelty-free. Admire My Skin has the maximum concentration of the whitener hydroquinone allowed in an over-the-counter product. It’s so strong that the manufacturer promises you’ll see results in 4 weeks if you apply it every night. Besides the high level of hydroquinone, the Dark Spot Corrector also has Vitamin C, Salicylic Acid, Azelaic Acid, and Lactic Acid. Admire My Skin warns that some people with sensitive skin may experience a “slight burning sensation,” so it’s best to begin treatments by applying it every third day until they become accustomed. When you’re shopping for Vitamin C serums, the gold standard is a 20% concentration. That’s what the Porcelain formula contains. But that’s not all the ingredients label reveals. It also has hyaluronic acid to hydrate skin, anti-aging peptides Matrixyl 3000 and Argireline, plus Alpha Lipoic Acid, a powerful antioxidant. Porcelain says if you’re not satisfied within 45 days, they offer a 100% money-back guarantee. MD Complete’s Dark Spot Corrector comes with a bottle of Retinol Vitamin C Booster because the two formulas work together to even skin tone, fade dark spots, and erase fine lines and wrinkles. The corrector has 2% hydroquinone plus Vitamins B and E, niacinamide, black raspberry, and pomegranate fruit seed extracts. The Retinol Vitamin C Booster speeds up skin regeneration. It also contains Vitamin E and niacinamide plus macronutrients. Since retinol makes skin sensitive to sunlight, wear a sunscreen during the daytime outdoors. Foxbrim’s Advanced Formula Vitamin C Facial Serum uses a 20% solution of Vitamin C plus hyaluronic acid, aloe vera, an amino complex, witch hazel, and jojoba oil to make sunspots disappear and even out skin tone. They recommend applying it day and night for best results. The serum is vegan and cruelty-free. We hope you discovered the perfect Vitamin C serum that will fade scars and discolorations to give you radiant skin. Check back with us soon to view new reviews of top beauty and skin care products.